Buy great properties at discount prices the easy way. We have access to properties in your area for the lowest prices in the marketplace. Allow us to work for you and find the property that meets your wants and needs. Join our Buyers List to get the best deals. 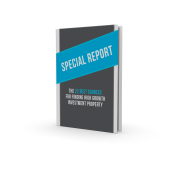 Complete this form to join our Buyers List and get instant access to our FREE report, "Special Report: The 22 Best Sources for Finding High Growth Investment Property." © 2 Rivers Financial LLC All Rights Reserved.